However, I was really upset his past weekend when it snowed and iced because this weekend was supposed to be filled with adventure, sleeping under the stars, testing out our new winter camping gear, roasting marshmallows, etc. 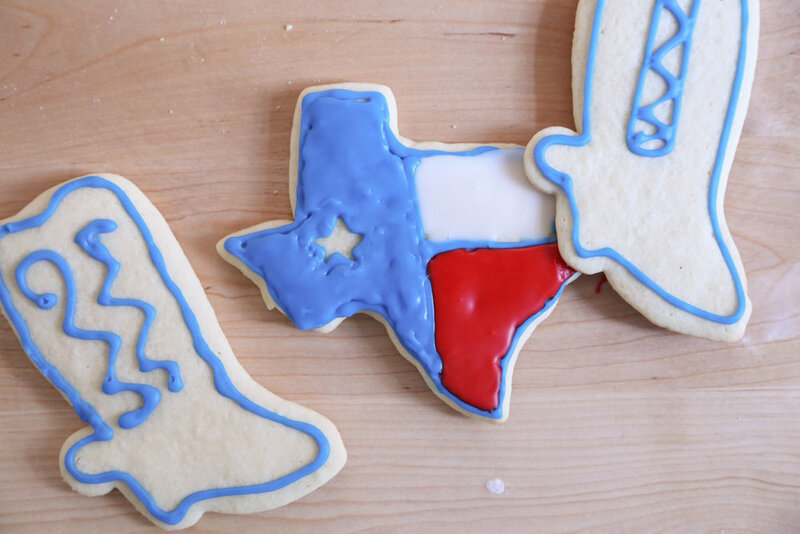 Instead, it was filled with House of Cards, copious amounts of hot coffee, warm fuzzy socks, homemade sugar cookies and lots of laughing. At first I was pretty bummed that Tyler and I were going to have to change our plans because of the weather, okay not bummed... ANGRY. But, after all the grumpiness Thursday night, it ended up working out just fine thanks to a great boyfriend who surprises me by driving the whole 8 hours to see me! Sometimes I have to remind myself to take a beat and relax. I'm learning it's better to recognize that if things don't go exactly like you planned, it doesn't mean you have to be a grumpy gus, just re-direct that negative energy into coming up with an alternative. That's what we did, and it ended up being just as fun, if not more! Although I am getting a little tired of the snow plows and salt trucks... if you ask me salt is way better on caramel than a parking lot. See what I did there? I made this Apple Tart with a Salted Caramel Glaze a couple of weeks ago when Amy and I did our little video shoot. This was my payment to her, although I think I got the better end of that deal, this tart is so easy to throw together last minute, but it still looks decadent and sophisticated... don't you think? This is the perfect snow day treat, I bet you have 90% of these things in your pantry and fridge. Start by slicing the apple as thin as you can get it. I have this handy slicer, so I totally cheat a little, I would recommend them to anyone who likes the peel or slice fruit on a regular basis. Look at those perfect slices. 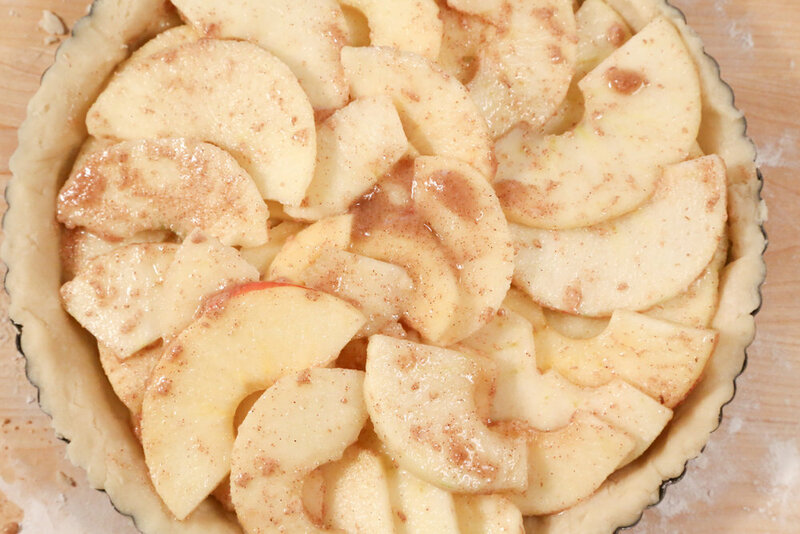 Cover the sliced apples in the flour, sugar and cinnamon mixture, set aside and make the tart crust. To make the crust, combine the dry ingredients, cut in the butter, and add water until the dough forms, roll it out and place it in your tart pan, make sure you press the crusts into all the little nooks and crannies. 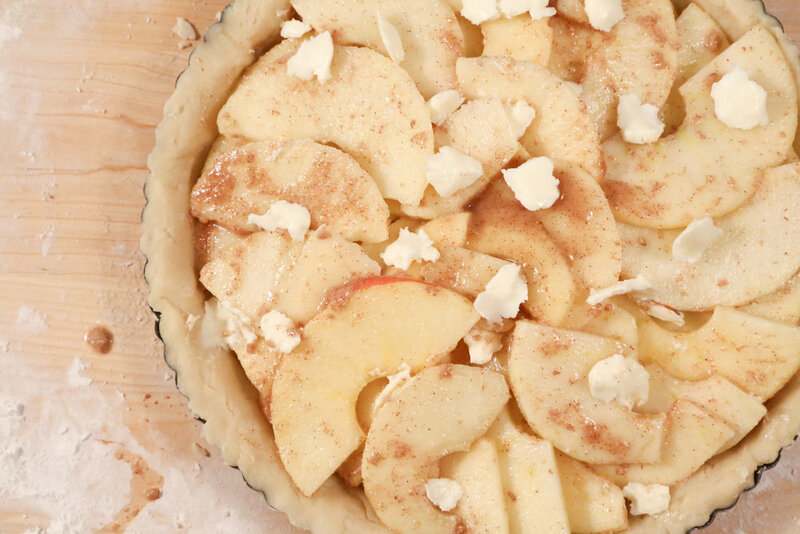 Line the tart pan with your perfect little slices, starting on the outside and working inward toward the center. 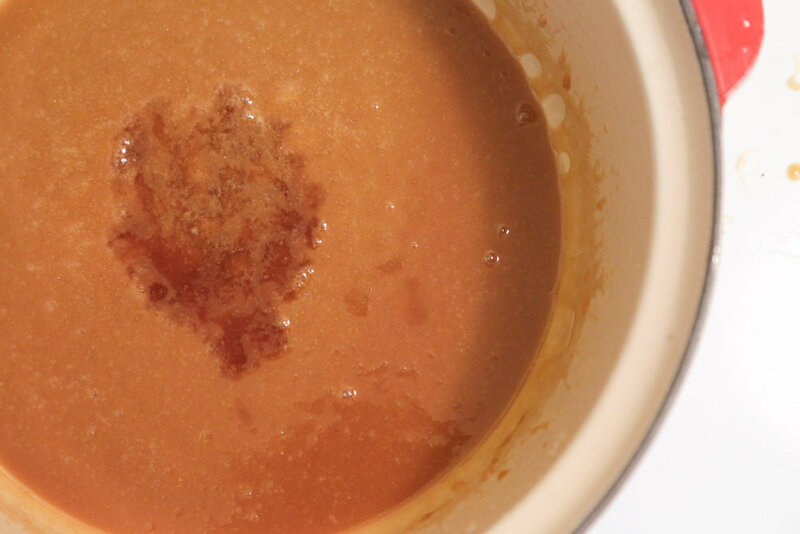 Dollop the top with some butter, get it in the oven and start the caramel glaze. 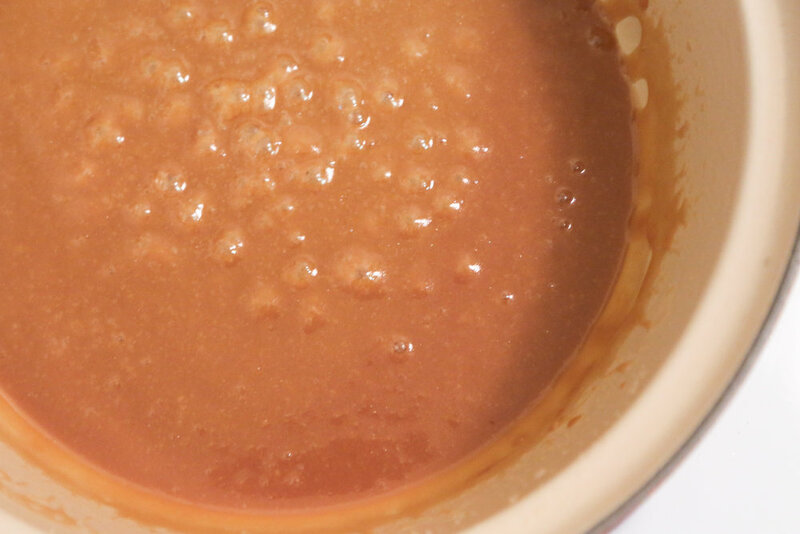 The glaze is fairly easy, it's basically just a caramel sauce, I like to add bourbon to mine to make it a little more decadent. Remove the tart from the oven and cover with caramel sauce. Stick it back in the oven for a bit longer until all the caramel melts and covers the top evenly, let cool a few minutes then top with some flaky salt. Couldn't you just dive right in to all that goodness?